What a great way to end the year by taking a few minutes to watch a year's worth of Smokies moments in just one short film. From snow covered mountains, to spring wildflowers, summer bugs and spectacular fall colors, and everything in between. I just received my email copy of the Know Before You Go newsletter from the Friends of the Smokies. In this issue they included a link to their "Needs List" as approved by their Board of Directors on November 8th. This year Friends is looking to fund programs benefiting the Smokies that total more than $1.2 million. Many of the programs are probably very familiar to fans of the Great Smoky Mountains, such as the Elk Bugle Corps, suppression of the woolly adelgid infestation, and support for the Appalachian Bear Rescue. * $50,000 to rehab the Laurel Gap Shelter near Balsam High Top - this is the last of the 15 shelters to be remodeled in the Smokies. * $38,700 for the Appalachian Trail Ridge Runner project. * $25,000 for Student Conservation Association trail rehab projects. * $4500 for the Black Bear Hiking Patrol (never heard of this one??). * $4000 to install or improve food storage cable systems. These six projects alone, that have a direct impact on hikers, represent more than 22% of the Friends Needs List for the upcoming year. If you're interested in helping out, Friends of the Smokies could always use your financial help. The Southern Environmental Law Center announced yesterday that the U.S. Forest Service has agreed to limit logging in the Cherokee National Forest after several conservation groups raised concerns. The logging project was originally proposed for about 355 acres in the watershed of Big Creek, a tributary of the French Broad River. The area is located northeast of the Great Smoky Mountains National Park and Interstate 40, and near Max Patch, a popular high-elevation bald just over the state line in the neighboring Pisgah National Forest in North Carolina. At the heart of the watershed lies the rugged Laurel Mountain area, which provides important backcountry wildlife habitat. It's also part of the relatively remote forest stretching between the Smokies and the Bald Mountains in the Cherokee and Pisgah national forests. Under the agreement reached this week, the Forest Service will withdraw all logging in the Laurel Mountain area, thus avoiding many steep slopes and the most remote places where access and logging would be difficult, infeasible or damaging. Restricting logging in the area ensures protection for core wildlife habitat, rare natural communities, and sensitive higher elevation areas on Laurel Mountain. In the areas remaining for timber harvest, the agreement clarifies the Forest Service's limits on logging operations on steep slopes. Do you know how to respond to backcountry emergency situations? The Great Smoky Mountains Institute at Tremont will be offering a week-long course next month for anyone interested in wilderness travel or in emergency medical training. The course offers hands-on training for dealing with bites, burns and other injuries. It will also teach participants how to manage conditions brought about from extreme temperatures and other outdoor emergencies. Instructors from Roane State Community College will be leading the program. The program will take place from Sunday evening, January 16, to the following Sunday afternoon, January 23. You should note that all participants are required to have completed Professional Level CPR before attending, or CPR for the Healthcare Provider. Interestingly, participants are also required to bring 2 sets of clothing that can be destroyed in scenario training. The cost is $795, and includes meals, lodging, and instruction. Advance registration required. Great Smoky Mountains Institute at Tremont is an educational partner of Great Smoky Mountains National Park. Tremont is a non-profit environmental education center that provides programs that celebrate ecological and cultural diversity, foster stewardship, and nurture appreciation of Great Smoky Mountains National Park. For additional information on the course, please click here. The Great Smoky Mountains National Park reported a sharp decline in visitation for the month of November. Overall, the number of visitors dropped 12.4% for the month, with Gatlinburg reporting the largest decline, a drop of 25.3%, when compared to November of 2009. The Townsend entrance was down 12.3%, while the Cherokee entrance saw a decline of 2.5%. Fortunately the park's 13 outlying entrances reported an increase of 5.3%. For the year-to-date, through the end of November, visitation to the Smokies is up 1.7%. Comparatively, recreational visitation on the Blue Ridge Parkway was up 0.7% for November, but is down 8% for the YTD. Shenandoah National Park is having a great year. Visitation was up 20.3% for November, and 11.1% for the YTD. The folks over at besthike.com recently concluded a series of posts outlining their Top 10 Hiking Towns in the world. Many of the towns on their list I had never heard of, but if you’re a world traveler this series would certainly provide some great ideas for future hiking trips. Since only one town from the United States (Moab, Utah) made the list, I thought I would offer my own list of hiking towns. This isn’t intended to be a “top 10” list, rather just a brief run-down on some of the hiking towns I’ve visited during my travels. Ouray, CO: This cool little western town in the heart of “Little Switzerland” provides easy access to arguably some of best hiking in Colorado. Two of my all-time favorite hikes are within a 20 minute drive of town: Blue Lakes and the Horsethief Trail. Damascus, VA: An extremely friendly town that makes a great base for hikes in the Mt. Rogers area. There’s a small diner on the eastern edge of town that serves the best pancakes I’ve ever had (sorry, but I can’t remember the name). East Glacier, MT: Admittedly, there isn’t much of a town here, but it does have one of the best Mexican restaurants I’ve ever been to. Make sure to leave room for dessert - they serve Huckleberry Pies that are out of this world. Serrano’s is a great way of rewarding yourself after a great day of hiking in the Two Medicine area of Glacier National Park. Asheville, NC: Can you consider Asheville a hiking town? It’s a little big to be called a town, and you could argue that it isn’t necessarily close to any of the great hiking in western North Carolina. However, if you think Asheville is deserving of the “hiking town” title, chalk this up as a favorite of mine. Cooke City, MT: Just outside of the northeastern corner of Yellowstone is the laid back, old western town of Cooke City. Not only does it provide access to America’s oldest national park, but it also sits on the western terminus of the Beartooth Highway, a road Charles Kuralt once said was the most beautiful drive in America. Bryson City, NC: Unfortunately I haven’t spent any time here other than passing by on my way to a few hiking excursions in the Deep Creek area. Bryson seems to have the most character out of any of the towns bordering the Smokies. Moab, UT: I know this is supposed to be a great little town for outdoor types. I did spend a night here several years ago. We arrived after midnight and couldn’t find a hotel, but someone told us we could set up camp on the outskirts of town. Apparently there must have been something going on that night because there were several other campers squatting in the same place which we called “Hooverville.” The next day we moved on and used the outstanding campground in nearby Dead Horse Point State Park as are base for hikes in Arches and Canyonlands National Parks. Since we don’t camp all that much anymore, Moab would be the best place to stay next time we visit the red rock desert region of Utah. Fairplay, CO: We just discovered this town this past fall after a hike up to Quandary Peak. The town is an absolute hidden gem. Although it plays up its association with the popular South Park animated sitcom, it’s really a small, laid-back rustic town with an old west vibe. Townsend, TN: The “Peaceful Side of the Smokies” is far more relaxing than that town 15 miles east of here. I would also argue that the food is better here as well. Taos and Santa Fe NM: Two towns (well, Santa Fe is really a city) that provide access to some great hiking in the Sangro de Cristo Mountains. Leadville, CO: Funky little old mining town with some great food and access to some great hiking in the heart of Colorado. Gatlinburg and Estes Park, CO fall into this category. Both towns aren’t that bad during the off season, but during the summer months I find my blood pressure and stress levels moving north. Vail, Aspen, Breckinridge and Boulder. Yes, they’re all basically Colorado ski towns in the winter, but they all provide access to some great hiking in the off season. For me, however, there’s absolutely nothing that could convince me to stay longer than it takes to fill-up my gas tank. Unfortunately Jackson, WY has also succumbed to the avalanche of big money as well - much of it from Hollywood types. Feel free to add your own thoughts or comments on any these towns, or, give a shout out to any of your own favorites that aren’t on this list. > The Sierra Trading Post is offering an extra 20-30% off on more than 6000 items. This is on top of their every day savings on all the top name brands. > REI is offering savings of up to 30% on selected outerwear, sweaters, backpacks, CamelBak, camping gear, cycling gear, and more during their Holiday Clearance Sale. This includes all the top brands such as Marmot, Smartwool, North Face and Patagonia, as well as REI-Brand gear. > You can save up to 70% during Altrec's Big Chill Sale. > And Backcountry.com is offering up to 40% off during their After Christmas Sale. This includes camping, skiing and snowboarding gear. As of 7:30 this morning the National Weather Service website is reporting 15 inches of snow on the ground at Mt. LeConte, 10 inches at both the Sugarlands and Oconaluftee Visitor Centers, and 9 inches in Cades Cove. You can view a couple of photos from Mt. LeConte from the lodge blogsite. If you prefer warmer weather, help is definitely on the way! Temps are supposed to hit 60 degrees in Gatlinburg this coming Saturday. Here's another opportunity to get paid for hiking. This isn't just any other hike either. This can be any hiking destination you can think of - your dream hike. All you need to do is convince Backpacker Magazine that your planned adventure is the best, and that you have the trip-recording skills (GPS, photo, video) to share it with readers. The winner will land an assignment as a Backpacker field scout, and the magazine will send him or her - and a partner - on a trek anywhere in the Lower 48. As an added bonus, the winner and the top four runners-up will receive a KEEN prize package as well. All you need to do to enter is tell Backpacker where you want to go and why you’re the best hiker for the job. Just email an essay (300 words maximum) or a link to a personalized video (5 minutes maximum) or web page to Backpacker Magazine by January 15th. Sierra Trading Post is now in the process of the final leg of their "Share Your Adventure" Video Contest. Late last week they announced their Phase 3 winners, and now final voting begins for the best adventure video. The best video, chosen by the public, will win a $2,500 Grand Prize. Voting closes Dec. 29 for the 15 finialists, and Sierra will announce the Grand Prize Winner on Dec. 30. 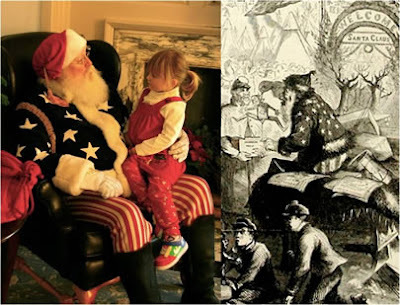 Check out the NPS photo below of the portrayal of Santa Claus during the Civil War. Park volunteer Kevin Rawlings plays an 1862 version of Santa during his recent annual appearance at Fredericksburg & Spotsylvania National Military Park. His costume was inspired by an old Harpers Weekly rendition of Kris Kringle by artist Thomas Nast. On July 3rd, 1936, President Franklin D. Roosevelt dedicated Shenandoah as a national park in a ceremony at Big Meadows. This year will mark the 75th anniversary of the park. Just as the Great Smoky Mountains did last year, Shenandoah National Park has published a special website for its 75th Anniversary. Since launching the site the park has been steadily adding content, such as upcoming events. And, just recently, they added a park timeline. Right now the timeline content isn't as rich as that of the Smokies site, but it could very well be that they intend to add more as time goes by. For those that wish to learn a little more about the Park's history, this is a pretty good starting point. It's an easy way to find out some of Shenandoah's most important moments, such as when a large chunk of the Park was declared a Wilderness Area. How many times have you said, "Man, why didn't think of that?!" Although climbers, photographers and hunters would find this useful, the Monowalker is specifically geared towards hikers, trekkers and backpackers who want to hike without weight on their shoulders. Instead of busting your back and shoulders to the next campsite, the Monowalker places all of the weight of your equipment on your hips and on the back wheel of the contraption. The makers of the Monowalker claim they haven't found one trail in the Alps that has stopped the Monowalker from following them - this includes scree and root covered trails. The device even comes with disk brakes, allowing you to take a breather on steep inclines without having to worry about the Monowalker pulling you downhill. Cross-country cyclists use trailers all the time to carry their gear. This is a logical extension of this concept. 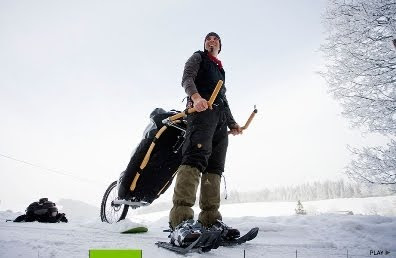 To me, this seems like a great idea, and potentially could get more people into the backcountry. I bet this guy could make a lot money in Nepal with this! Forest Service officials of the Chattahoochee National Forest are planning to close some roads on the Conasauga Ranger District this winter. The closures will begin on January 3, 2011 and last until mid-March. As a result, the Grassy Mountain, Lake Conasauga, Betty Gap, and Three Forks areas will be inaccessible by vehicle. The roads that will be closed are West Cowpen Road (FS 17) at the intersection with Mill Creek Road (FS 630); Potato Patch Road (FS 68) at Potato Patch Mountain; and Three Forks Road (FS 64) at Potato Patch Mountain and Jacks River Fields Campground. The road closures will impact trailheads leading into the Cohutta Wilderness Area. You can click here for a map of the impacted area. The National Park Foundation has just launched the Countdown to Christmas sweepstakes. From December 20 through December 25, the National Park Foundation will be celebrating the holiday season by giving away exciting prizes to three lucky entrants daily. By going to the National Park Foundation Facebook page, visitors can enter to win one of eighteen National Park Foundation prize packs. 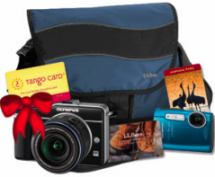 Some of the exciting prizes to be given away include the “America the Beautiful” park pass, Magellan GPS units, Olympus cameras, and LL Bean active wear. For easy reference, the prize packs will be listed on the National Park Foundation Facebook site daily. For full sweepstake rules, description of prizes, and to enter, go to the National Park Foundation Facebook page. Great Smoky Mountains National Park Supervisory Fisheries Biologist Steve Moore was recently recognized with two national awards for his leadership in native trout stream restoration at the Smokies and in national parks across the nation. Moore recently received the Aldo Starker Leopold Medal by the Wild Trout Symposium and the Trout Unlimited Trout Conservation Professional Award. Both awards recognized Moore’s over 25 years of achievement in restoring populations of native brook trout to streams in the Smokies, and assisting with other projects including the restoration of bull trout to Crater Lake National Park (Ore.) and to North Cascade National Park (Wash.) and restoring Bonneville cutthroat trout to Great Basin National Park (Nev.). Throughout the country, a combination of habitat degradation and extensive stocking of non-native fish species, have taken a heavy toll on numerous species of native trout, which typically require cold, clear, pristine water for survival. In many cases streams that may have been degraded by siltation or pollution in past years have been cleaned up, but the native trout still need a helping hand to return. In the Smokies the brookies that remain in the headwaters face a double threat. They are squeezed between heavy competition from rainbows and browns downstream, and airborne acid deposition upstream that has made the water too acidic to support trout. The key to preserving the Appalachian brook trout is to remove the non-native trout from selected segments of lower-elevation streams and then to assist the brookies in moving downstream into less acidic waters. To be suitable for restoration, a stream segment must have a record of a pure brook trout population in the past and a waterfall or other barrier at the lower end that prevents non-native fish from returning back upstream. Restoration of each segment involves removal of the non-natives through either electro-shocking and/or chemicals. Over the last 24 years of the Park’s Brook Trout Restoration Program Park biologists, assisted by a small army of state fishery managers and volunteers from Trout Unlimited, have restored a total of 24.1 miles of stream to brook trout habitat. Restoring each segment involves close coordination of 20 or more biologists and volunteers who string nets, electro-shock and relocate the non-natives, add and monitor the chemicals used and add neutralizing agents at the lower end of the segment being restored. The Prize of a Lifetime. That's what the Wenger Patagonian Expedition Race photographic competition is being billed as. 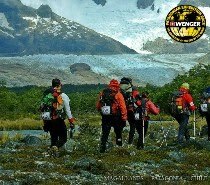 The Wenger Patagonian Expedition Race takes place February 8-16, 2011. Adventure racers receive minimal assistance as they traverse through Chile's pristine southern Patagonia region by means of trekking, climbing and related rope work, kayaking, mountain biking, and backcountry navigation. They often cover hundreds of kilometers without seeing a soul. This year event organizers are running a contest to find someone to add to their official photography team. The winner will have the opportunity to travel to Patagonia and be an official photographer for The Wenger Patagonia Travel Race. The prize package includes flights, accommodations, and ground transport to follow the race. All you need to do is complete an entry form and upload three of your best images to prove to the committee that you are the person they're looking for. Just click here for more information and to enter. Weather permitting, almost anyone in North America will be able to see a total lunar eclipse of the full moon tonight. Moreover, tonight's eclipse will fall on the same day as the winter solstice, the first such occurrence since 1638. A lunar eclipse occurs when the moon, Earth, and the sun all line up, with Earth in the middle. Around 1 a.m. EST tonight the Earth will begin casting a faint shadow on the moon. The shadow will continue to advance until the total eclipse, which is expected to begin at 2:41 a.m. EST, and will last for a little over 70 minutes. For all those night owls and amateur astronomers out there, hopefully you'll have some clear skies in your neck of the woods tonight! For a better understanding of what to expect tonight, please click here. For today only Altrec.com is offering up to 70% off on all Columbia Sportswear. This includes fleece, jackets, base layers, convertible hiking pants, shorts, and all the apparel you need to keep you warm and dry on the trail this winter. The sale includes discounts on their Omni-Tech waterproof-breathable line of gear, their Titanium Premium Series of outdoor apparel, and their Omni-Grip Premium Footwear series. This sale ends tonight at midnight PST. Altrec is also offering 2 Day Free shipping through 12/20/10. The coupon code for this offer is Holidayair. For those looking to get paid while pursuing their passion for hiking, the Appalachian Trail Conservancy is now accepting applications for seasonal Ridgerunner and Caretaker positions on the Appalachian Trail. ATC Ridgerunners are assigned to hike specific sections of the A.T., while Caretakers remain at specific overnight sites. The ATC is looking for candidates who can work independently, with minimal supervision, as well as cooperatively as a member of a team. The ATC is also looking for crew leaders. Seasonal volunteer trail crews perform large-scale trail construction, treadway rehabilitation, and resource-management projects to assist local clubs and public agencies (such as the US Forest Service and the National Park Service) in managing the Appalachian National. Trail crews are staffed with two paid crew leaders (Crew Leader and Assistant Crew Leader) and a crew (8-10 volunteers) and operate from a centrally-located base camp, traveling to sites on a weekly/biweekly schedule to complete projects. For more information on these and other positions, please click here. > Amazon is offering FREE Super Saver Shipping in time for Christmas through Sunday. Check out the photos of the Geminid meteor shower from earlier this week on the National Geographic website. The five photos were taken from different spots around the world, but the article stated that in the United States, between about 12:30 and 4:30 a.m., as many as three to five meteors per minute were seen! Park officials just posted a blurb on their website that the log footbridge on the Porters Creek Trail above its junction with Brushy Mountain is damaged. They ask not to use the trail until the bridge has been repaired. I assume they mean only the portion above the Brushy Mountain junction is closed. What makes hiking in the Southern Appalachian Mountains so special? Or, put another way, what are the things that make hiking in the Southern Appalachians unique? I’ve been giving these questions some thought for sometime now, and have come up with a list of eight reasons that set the Southern Appalachians apart from the rest of the country. I must admit that some of these are not totally unique, but nonetheless are fairly rare, thus making them distinctive in terms of a hiking feature. 8) Roan Mountain Goats: Grassy balds in the Great Smoky Mountains, such as Gregory and Andrews, require occasional mowing in order to prevent trees from reclaiming them. On Roan Mountain, however, they use goats! For the last three years scientists have been testing the use of goats as a measure for keeping the more than 1000 acres of grassy balds in tact. The use of goats may help Roan Mountain in two ways: they appear to be far more economical than mowing, and there’s speculation that goats will actually help promote the germination of the rare Gray's Lily wildflower. Known as the “Baa-tany Goat Project,” the goats are surrounded by a solar-powered electric fence from July thru September. The enclosure covers a one-half to one acre plot, and is moved every week or two as the goats deplete the vegetation growth. For the past couple of years the Southern Appalachian Highlands Conservancy has been leading guided Goat Hikes on Roan Mountain, thus offering the public an excellent opportunity to see the goats in action and learn about their role in preserving the grassy balds. 7) Fire Lookout Towers: The Southern Appalachians are littered with old fire towers, remnants of a bygone era when rangers climbed their perches to look for wildfires in their respective patrol areas. Most of the towers were abandoned in the 1960s when it was decided that planes could monitor the mountains more economically. 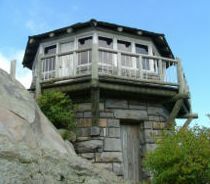 Today, fire lookout towers have become popular hiking destinations, thanks in part to Peter Barr, author of Hiking North Carolina’s Lookout Towers, and the Carolina Mountain Club’s official hiking challenge of reaching 24 lookout towers in Western North Carolina. Many of the towers are still accessible, allowing hikers to soak in the 360-degree views from their prominent vantage points. Some of the more notable fire towers in the Southeast in terms of architecture include Duckett Top Lookout Tower on Rich Knob in the Pisgah National Forest, Wayah Bald in the Nantahala National Forest, and of course the Mt. Cammerer fire tower in the Smokies. 6) Trail Days in Damascus: Trail Days is the annual Woodstock for hikers. It’s the mother of all hiking gatherings. It’s a celebration of all things Appalachian Trail. And it all happens in tiny Damascus, Virginia, also known as Trail Town, USA where the Appalachian Trail, the Virginia Creeper and the Iron Mountain Trail slice through the middle of town. Each year Damascus becomes the destination point for thousands of thru-hikers, veteran hikers and those who just love hiking and the Appalachian Trail. Trail Days is recognized as the largest trail event in the world, and many A.T. thru-hikers will time their hike in order to be in town in mid-May for the annual three day festival. 5) The LeConte Lodge: Although there are a handful of other national parks that offer hike-in lodging, one of the great traditions in the Great Smoky Mountains is overnighting in the lodge sitting near the top of 6,593-foot Mount LeConte. For those that don’t like backpacking, the lodge offers an excellent opportunity to enjoy a backcountry experience in relative luxury (compared to roughing it!). The LeConte Lodge also has a sister lodge at Big South Fork (Charit Creek) where the only access is hiking in as well. One other backcountry lodge in the southeast worth mentioning is the Len Foote Hike Inn at Amicalola Falls State Park in Georgia. 4) Azaleas, Mountain Laurel & Rhododendron: One of the great annual events in the Southern Appalachians is the spectacular Azalea, Mountain Laurel and Rhododendron blooms of late spring. For some of the best examples of these beautiful displays of Mother Nature, hike up to Gregory Bald in mid-to-late June to check out the world famous Azaleas that grow atop the 10-acre bald. Spence Field near Rocky Top has the finest display of Mountain Laurel that I’ve ever seen. Early-to-mid June is the best time to visit when they’re usually reaching peak bloom. For Rhododendron, your best bet is Roan Mountain which has the largest natural rhododendron garden in the world. Count on peak blooms arriving around mid-to-late June. 3) Natural Bridges & Sandstone Arches: With places like Arches and Canyonlands National Park, it’s likely that Utah is more synonymous with natural bridges in the minds of most people. However, hikers shouldn’t forget the abundance of natural bridges and sandstone arches that permeate the Southern Appalachians. The Red River Gorge Geological Area in the Daniel Boone National Forest has over 100 natural arches, making it the greatest concentration of arches east of the Rocky Mountains. The Big South Fork region also contains one of the highest concentrations of natural bridges in the eastern U.S., including the largest sandstone arches in the east. Other notable arches include Natural Bridge in Virginia - a National Historical Landmark, and Sewanee Natural Bridge in Tennessee. 2) The Appalachian Trail: It may not be the longest anymore, nor the most scenic, but it will always be the most iconic trail in the world. The Appalachian Trail, America's first National Scenic Trail, is one the most popular trails for day-hikers and thru-hikers alike. An estimated 4 million people hike at least part of it each year. My guess is that most of them know it’s one of the best ways to see and explore the scenic wonders of the Appalachian Mountains. 1) Grassy Balds: One of the great mysteries of the Southern Appalachians is whether or not the treeless mountain tops and ridges, known as “balds,” are natural or if they were manmade. For hikers, does it really matter? Balds provide outstanding vantage points for sweeping panoramic vistas of the Appalachian Mountains. Some of the balds with the best views in the Smokies include Gregory, Andrews, Spence Field and Rocky Top. Outside of the Smokies, hikers should check out Roan Mountain, Max Patch, Mt. Rogers, Shining Rock, Cheoah Bald, Big Bald or Black Balsam. So, Southern Appalachians hikers, are there any others that need to be added to this list? 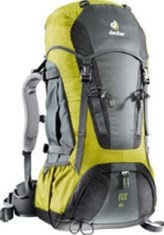 For today only, the Nantahala Outdoor Center is offering 31-39% off on Deuter Backpacks: the ACT Lite 45, ACT Lite 40, Fox 30, and Fox 40 models. * Marmot Jacket Sale - Save up to 20% on some Marmot Jackets. * As part of their 12 Days of Deals campaign, Altrec.com is offering 30% - 80% off on select ski wear - today only - sale ends tonight at midnight PST. * Altrec is also offering 2 Day Free shipping through 12/20/10. The coupon code for this offer is Holidayair. >> Today is the last day to receive Free Shipping, and Standard and USPS Priority Shipping - guaranteed for Christmas - from Backcountry.com. Order as late as 5 p.m. EST. Backcountry is offering up to 40% Off on select Outdoor Gear. >> Just 1 day left to order for Christmas with FREE Super Saver Shipping at Amazon.com. The Appalachian Trail Conservancy just announced in the new 2011 Appalachian Trail Data Book that the official length of the Appalachian Trail is now 2,181.0 miles. Relocations and re-measurements in 2010 meant an additional 1.9 miles for the legendary pathway. Every December, the latest mileage and shelter information for the 11 official guides is updated from volunteers who are constantly improving the trail, with volunteer Daniel D. Chazin of Teaneck, N.J., pulling it all together since 1983. This year, increases were reported for Massachusetts–Connecticut (0.2 mile), New York–New Jersey (0.9 mile), central Virginia (0.1 mile), and Tennessee–North Carolina (0.9 mile), while the southwest Virginia mileage was reduced by 0.1 mile. 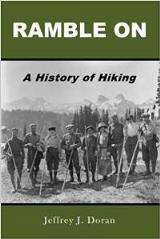 “The Appalachian Trail Conservancy’s 2011 Data Book is an essential planning resource for any Appalachian Trail hiker; whether they are out for a day hike or hiking the entire length from Maine to Georgia,” stated Brian B. King, Publisher of the Appalachian Trail Conservancy. Each year, the $6.95 Appalachian Trail Data Book is a top-selling official guide to the longest continuously marked footpath in the world — it condenses into 96 pages the high points of the series of guidebooks and maps. Information is presented at a glance in the same geographic units as the guides, with elevations for major points. Shelters, campsites, water sources, road crossings, supply sources, off-trail lodging, eateries, and post offices are all easy to identify in the Data Book. For more information about the 33rd edition of the Appalachian Trail Data Book or to purchase a copy, please click here. The winter storm that passed through the Smokies over the weekend still has most of the roads in the park closed as of this morning. 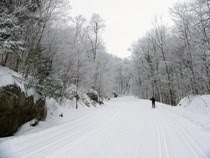 • Newfound Gap Road (US-441) is open ONLY to vehicles with 4WD or chains. • Foothills Parkway (unfinished section) - the 4 mile section from the gate at US-321 in Wears Valley that is normally closed to motor vehicles is now closed to all use until January 2012. The Walland end of the road will be closed to all public use begining Dec. 16, 2010. As of 7:30 this morning the National Weather Service website is reporting 20 inches of snow on the ground at Mt. LeConte. A WARM FRONT WILL MOVE ACROSS THE SOUTHERN APPALACHIAN REGION WEDNESDAY NIGHT...GENERATING A WINTRY MIX OF PRECIPITATION OVER THE REGION. WITH VERY COLD AIR ALREADY IN PLACE...THE INITIAL PRECIPITATION WILL BE IN THE FORM OF LIGHT SNOW. THE LIGHT SNOW WILL GRADUALLY CHANGE OVER TO SLEET AND FREEZING RAIN. AS WARMER AIR MOVES IN BEHIND THE FRONT...THE WINTRY MIX WILL SLOWLY CHANGE TO RAIN LATE TONIGHT AND THURSDAY MORNING. There are just 2 days left to order to receive FREE Super Saver Shipping in time for Christmas at Amazon.com. * Tomorrow is the last day to receive Free Shipping, and Standard & USPS Priority Shipping, guaranteed for Christmas, from Backcountry.com. Order as late as 5 p.m. EST. Remember Rosie Ruiz’s Boston Marathon win? Or, how about Jennifer Figge swimming 2,100 miles last year, from the Cape Verde Islands to the Caribbean’s Trinidad — in just 25 days? Actually, neither of those really happened. These are just two entries from Outside Magazine's list of the Top 5 Adventure Hoaxes of All Time that were posted on their blog yesterday. Then, after reading about the phonies, check out some real outdoor adventurers from the past year. For the 6th year running National Geographic Adventure is allowing the public to vote for their favorite adventurer of the year. These are individuals who made the Nat Geo list with their remarkable achievements in exploration, conservation and adventure sports. From the list of ten nominees you can choose from inspiring individuals such as 12-year-old Matt Moniz who climbed to the highest point in all 50 states earlier this year - in just 43 days. There's also 16-year-old Jessica Watson who made headlines back in May when she completed her sailing excursion around the world - alone. You can check out the full list of nominees by clicking here. Read the candidate's in-depth profiles, and then cast your vote for the person you think best embodies the spirit of adventure. You can vote every day until January 15, 2011. The People's Choice Adventurer of the Year will be announced in February 2011. The NPS announced this morning that national parks will be featured each day this week on the “Wheel of Fortune.” The show will feature park-related props, puzzles, prizes, and photography on episodes airing from today through Friday. Now in its 28th season, “Wheel of Fortune” is the longest running syndicated game show in U.S. television history. It averages 11 million viewers each night and the show’s online Wheel Watchers Club has 5.7 million members. Footage of parks will be constantly displayed on a large screen behind the contestants throughout the week. Long time hosts Pat Sajak and Vanna White will end Tuesday’s show with some NPS history. NPS concessioners provided the week’s prize packages. Players will spin the wheel in hopes of winning trips to Yellowstone, Grand Teton, Yosemite, Glacier, Isle Royale, and Denali National Parks. As part of their 12 Days of Deals campaign, Altrec.com is offering 25% - 70% off on all Helly Hansen outdoor apparel - today only. Items on sale include base layers, jackets, fleece, gloves and more. This sale ends tonight at midnight PST. 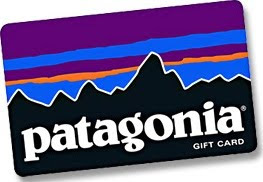 * For today only, the Nantahala Outdoor Center is offering 40% off on Patagonia Capilene Baselayers. ** Reminder: you have just 3 days left to order for Christmas with FREE Super Saver Shipping at Amazon.com. Polartec, the leading global manufacturer of performance fabrics, announced this week Appalachian State University as the winner of its Made Possible College Challenge. The contest, which began in early October, was aimed at promoting collegiate outdoor programs, with the winner receiving a $10,000 grant and Polartec apparel. After accepting submissions from around the country in early October, and narrowing the finalists to four on November 1st, the results were then left up to the public. After three weeks and over 28,000 votes, Appalachian State University officially won the contest, coming out just ahead of the University of Massachusetts at Amherst, the University of Idaho, and Middlebury College, respectively. This $10,000 money will serve as the starting point for a permanent Outdoor Programs Scholarship Fund at the university in Boone, NC. Appalachian State University Outdoor Programs - Polartec "Made Possible" Challenge Video from Jessica Abt on Vimeo. The Florida Trail: At 1562 miles in length, the Florida Trail is the southeast’s longest trail. As one of only eleven National Scenic Trails in the United States, the Florida Trail traverses through a diverse landscape as it extends from Gulf Islands National Seashore in Florida's panhandle to Big Cypress National Preserve in south Florida. Along the way it passes through some of the state's most picturesque areas including the Apalachicola, Ocala, and Osceola National Forests, St. Marks National Wildlife Refuge and several state parks. In addition to the poisonous snakes, panthers and bears, keep a look out for alligators! Appalachian Trail: Although the A.T. runs for a total of 2179 miles from Georgia to Maine, only a thousand of those miles actually pass through the Southern Appalachians (the section south of Harpers Ferry), thus making it the second longest trail in the southeast. The A.T. arguably offers some of the best hiking in the southeast, passing through places like the Great Smoky Mountains and Shenandoah National Parks, Big Bald, Roan Mountain and Mt. Rogers. As a result of its popularity, some of these sections attract a lot of hikers. Mountains-to-Sea Trail: The Mountains-to-Sea Trail stretches roughly 1,000 miles from Clingmans Dome in the Great Smoky Mountains to Jockey’s Ridge on the Outer Banks. Although only 500 miles of footpath are built right now, people can still hike across the state using temporary connectors on back roads and state bike routes. The trail is a showcase for North Carolina’s diverse landscape. Thru-hikers will experience mountains, rugged gorges, small Piedmont farms, coastal swamps, colonial towns, and barrier islands. It climbs both the tallest mountain peak and the highest sand dune in the Eastern United States, passes through three national parks, two national wildlife refuges, three national forests, seven state parks and three lighthouses, including the nations tallest. Pinhoti National Recreation Trail: The Pinhoti National Recreation Trail is a combination of the Alabama Pinhoti Trail and the Georgia Pinhoti Trail. Its southern terminus is on Flagg Mountain just outside Weogufka, Alabama, and stretches 335 miles to its northern terminus at the intersection with the Benton MacKaye Trail near Ellijay, Georgia. From here hikers have the opportunity of extending their hike all the way to Maine by heading southeast on the Benton MacKaye Trail for roughly 70 miles to Springer Mountain, the southern terminus of the Appalachian Trail. Completed in early 2008, the Pinhoti Trail is characterized by heavily wooded forests, far reaching ridgelines, countless creek crossings and spectacular views. Part of the trail includes dirt and paved roads, but otherwise provides ample solitude. Benton MacKaye Trail: Nearly 300 miles in length, the Benton MacKaye Trail runs from Springer Mountain in Georgia to Davenport Gap on the northern edge of the Great Smoky Mountains National Park. The trail passes through some of the most remote backcountry in Georgia, Tennessee and North Carolina, including eight federally designated Wilderness and Wilderness Study Areas. For those looking for a large loop hike, you can combine the Benton MacKaye with the Appalachian Trail. From Springer Mountain, the Benton MacKaye heads off in a westerly direction, while the A.T. traverses eastward. The two cross each other again near the Shuckstack Fire Tower in the southern Smokies. Palmetto Trail: The Palmetto Trail is South Carolina’s mountain-to-sea trail. When completed, the cross-state, multi-use trail will take hikers from Oconee State Park in the western mountains, to its eastern terminus at the intra-coastal waterway at Awendaw Creek. With nearly 290 miles of trail open to the public, roughly two-thirds of the eventual 425-mile Palmetto Trail is now complete. The Palmetto Trail features maritime, sandhill, and piedmont forests, knife-edged mountaintops, and two Revolutionary War battlefields. Some sections of the trail are urban bikeways, greenways and rail-to-trail conversions. 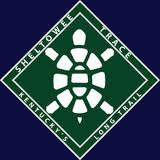 Sheltowee Trace: The Sheltowee Trace is a 269-mile multi-use trail that traverses the length of the Daniel Boone National Forest in eastern Kentucky. The trail is named in honor of Daniel Boone. Sheltowee, meaning Big Turtle, was the name given to Boone when he was adopted into the Shawnee Indian tribe as the son of the great war chief, Blackfish. Designated as a National Recreation Trail in 1979, the Trace passes through Cave Run Lake, Red River Gorge, Natural Bridge State Park, Laurel River Lake, Cumberland Falls State Resort Park and the Big South Fork National Recreation Area. Along its course hikers will see waterfalls, arches, panoramic ridge-top views and massive sand­stone cliffs. Cumberland Trail: The Cumberland Trail in east Tennessee follows a line of ridges and gorges along the eastern escarpment of the Cumberland Plateau. When completed, the trail will stretch more than 300 miles from the Cumberland Gap National Historic Park on the Tennessee-Virginia-Kentucky border, to the Chickamauga and Chattanooga National Military Park and Prentice Cooper Wildlife Management Area just outside Chattanooga. In between it will pass through four Tennessee Wildlife Management Areas, a National Park Wild and Scenic Area, two State Parks, and two protected State Natural Areas. Designated as a Tennessee State Scenic Hiking Trail, hikers have access to numerous waterfalls, scenic overlooks and deep gorges. Right now there are roughly 175 miles of hikeable trails, and it’s estimated that it will take another 8 to 10 years before the entire trail is completed. Bartram Trail: The Bartram Trail follows the approximate route of naturalist William Bartram who traveled throughout the southeast from 1773 to 1777. During his travels Bartram wrote vivid descriptions of the plants and animals he saw, as well as the Native Americans he encountered. Designated as a National Recreation Trail, the 115-mile Bartram Trail crosses over some of the most scenic mountains in North Carolina and Georgia. Starting from Cheoah Bald in the Nantahala National Forest, hikers will cross over Wayah Bald and Rabun Bald before reaching the southern terminus of the trail in the Chattahoochee National Forest near the Georgia-South Carolina state line. One of the more interesting aspects of the trail is that hikers have the option of canoeing a nine-mile section of the Little Tennessee River, near Franklin, in lieu of walking the nearby roadway here. Foothills Trail: The Foothills Trail offers an extraordinary opportunity to explore the Appalachian foothills along the GA, NC, and SC border area. The 77-mile trail stretches from Oconee State Park to Table Rock State Park. Along the way hikers will visit Sassafras Mountain, South Carolina’s highest peak, the Cantrell home site, the massive granitic dome at Table Rock, and the cliffs and ledges atop Pinnacle Mountain that contain petroglyphs believed to have been made by ancient Native Americans. Pine Mountain Trail: Although the Pine Mountain Trail currently ranks as only the 11th longest trail in the southeast right now, I included it here because it will move up to number 10 once the trail is finished. Once completed, the long distance trail designed for backpacking and hiking will span approximately 120 miles from Breaks Inter­state Park, to Cumberland Gap National Historic Park, and will pass through several natural areas such as Bad Branch State Nature Preserve, Kingdom Come State Park and Blanton Forest along the Pine Mountain range in eastern Kentucky. Currently, 44 miles of hiking trails are open. For today only, Altrec.com is offering 20% - 70% off on all Mountain Hardware outdoor gear and apparel. This sale ends at midnight PST. Check out the photos of the "Fire Waterfall" in Yosemite National Park. The waterfall is actually Horsetail Fall on the east side of El Capitan. At first I thought that maybe this was a hoax, or maybe they were photo shopped images, but apparently they're real. The spectacular view of the waterfall is created by the reflection of sunlight hitting the falling water at a specific angle, and can only be seen during a 2-week period towards the end of February. Thus, seeing and photographing this phenomenon is fairly rare. >> Just 4 days left to order for Christmas with FREE Super Saver Shipping at Amazon. 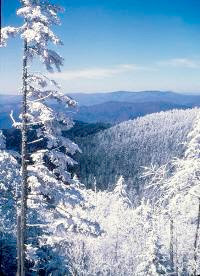 The winter storm that passed through the Smokies yesterday and overnight has shut down most of the roads in the park. As of 7:30 this morning, the National Weather Service website is reporting that 10 inches of snow are on the ground at Newfound Gap, and 8 inches atop Mt. LeConte. • The Cades Cove Loop Road is closed due to downed trees, but is expected to open later this morning. ACCUMULATIONS: EXPECT TOTAL SNOW ACCUMULATION BY MONDAY EVENING OF 2 TO 6 INCHES IN THE LOWER ELEVATIONS...WITH 8 TO 15 INCHES POSSIBLE OVER THE HIGHER MOUNTAINS. A STRONG LOW PRESSURE SYSTEM WILL TRACK ACROSS THE SOUTHERN GREAT LAKES REGION TODAY...PUSHING MUCH COLDER AIR INTO OUR REGION BEHIND A DEPARTING COLD FRONT. ANY LINGERING RAIN SHOWERS WILL CHANGE TO QUICKLY SNOW SHOWERS THIS MORNING...THEN SNOW SHOWERS WILL PERSIST THROUGH MONDAY. GUSTY WINDS CAN BE EXPECTED AS WELL...WHICH MAY MAY PRODUCE BLOWING AND DRIFTING SNOW IN THE HIGHER ELEVATIONS. DANGEROUSLY LOW WIND CHILL VALUES ARE ALSO EXPECTED AT TIMES. For the latest road reports, call the park office at (865) 436-1200. Most of you are probably aware that the backcountry shelters in the Great Smoky Mountains have undergone extensive renovations over the past several years. Many of those shelters date back before the park was even established. Fortunately, one of the most prolific early photographers of the Great Smoky Mountains, Albert "Dutch" Roth, left us with an invaluable visual record of the mountains from his travels in the park from the 1920s through the 1950s. Included in his vast collection are several photographs of the backcountry shelters in the Smokies and along the Appalachian Trail outside of the park. The photos offer an opportunity to compare how the shelter's looked more than half century ago with today's renovated shelters (here and here). You can also view the full Albert "Dutch" Roth collection of photos on the University of Tennessee Libraries website. Extreme Adventure News is reporting that tennis great Martina Navratilova was forced to abandon her bid to summit Mt. Kilimanjaro yesterday after suffering from HAPE, or High Altitude Pulmonary Edema. Navratilova, 54, was assisted down Africa's highest peak by porters and taken to a hospital in Nairobi where she'll spend the next 2-3 days recuperating from a build up of fluid around her lungs as a result of HAPE. She is expected to make a full recovery. "It's just a basic hike except you get to be pretty high and there's not much air up there, but it doesn't require much mountain climbing experience." So what is High Altitude Pulmonary Edema (HAPE)? HAPE is a dangerous build-up of fluid in the lungs that prevents the air spaces from opening up and filling with fresh air with each breath. When this happens, the sufferer becomes progressively more short of oxygen, which in turn worsens the build-up of fluid in the lungs, and can be fatal within hours. HAPE can occur in otherwise healthy mountaineers at altitudes typically above 2,500 meters (8,200 ft). For those of you that aren't old school, Martina Navratilova was one of the greatest tennis players of all time, winning 18 Grand Slam singles titles, 31 Grand Slam women's doubles titles (an all-time record), and 10 Grand Slam mixed doubles titles. She reached the Wimbledon singles final 12 times, including 9 consecutive years from 1982 through 1990, and won the women's singles title at Wimbledon a record 9 times. Altrec.com started their 12 Days of Deals yesterday, which will feature deep discounts on name brands each day (up to 60% off). They're also offering 2 Day Free shipping through 12/20/10. The coupon code for this offer is Holidayair. This week Backcountry.com started their Holiday Toppers Sale. They're offering up to 40% off select outdoor gear. Also, orders over $50 qualify for FREE shipping. This sale expires on 12/14/2010. Scripps Networks will be making a special holiday gift to one of their charitable partners next month. The winner of the gift will be based on the number of online votes. The four non-profits in the running for this gift, including Friends of the Smokies, will receive a minimum donation of $5,000 and a maximum donation of $10,000 based on voting percentages. Votes must be received by January 15, 2011 to be included. Please take a second to help Friends of the Smokies win this donation by clicking here. Have you ever considered or wondered what it would be like to work at a National Park? The video below gives a bit of the inside scoop on working for the government, or one of the concessionaires that provide a host of services for many of our parks. Even though Old Man Winter is already tightening his icy grip on the mountains, it doesn’t mean you still can’t find plenty to do in the Great Smokies. While it might be rather frosty at Newfound Gap, temperatures in the lower elevations of the park are usually quite balmy during the winter months. Roughly half the days have high temperatures of 50 degrees or more – some even reach into the 70s. On average, you can expect a snow of one inch or more just 1 to 5 times a year. This means that on most days you’ll still find plenty of opportunities for some great hiking on trails such as Abrams Falls, Little River, or Porters Creek - just to name a couple. Sledding is another popular activity on or near Newfound Gap, especially for children and those that are still kids at heart themselves. Winter in the Great Smoky Mountains is truly magical. After a blanket of fresh snow the landscape turns into a scenic wonderland, especially in the spruce-fir forests of the upper elevations. For those that have only visited during the warmer months, winter is an excellent time to experience the Smokies in a whole new way. 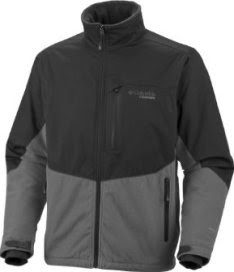 Several weeks ago Columbia Sportswear approached me to see if I would be interested in field testing one of their new Omni-Heat Elite Jackets. Of course I jumped on the opportunity. My only requirements were to field test the product, and then provide feedback via a questionnaire. Writing this review was completely voluntary on my part. Since receiving the Omni-Heat Elite I’ve had several opportunities to test the jacket under a variety of circumstances. Although none of them optimal, meaning I haven’t had the chance to test it in any extreme circumstances, I can already tell that the Omni-Heat Elite is a top quality jacket. The Omni-Heat line of gear from Columbia Sportswear utilizes new technology that helps maintain warmth and prevent heat loss in cold weather. The secret is a new thermal reflective technology that helps regulate your temperature by reflecting and retaining the warmth your body generates. Additionally, a breathable membrane helps to dissipate moisture and excess heat to keep you comfortable. Columbia claims that, on average, the jacket boosts heat retention by 20%. Two other important features that Columbia touts are that the jacket is waterproof and windproof. Essentially, the Omni-Heat Elite Jacket is billed as a lightweight fleece that offers the protection of a parka without the bulk. So, for me, the jacket has to pass four tests: comfort, wind resistance, rain resistance and warmth. Comfort was the easiest to assess. The jacket passed with flying colors. Although it has a relatively snug fit, there’s still plenty of room for a heavy base layer without feeling any restriction in movement. I particularly liked the neck which fit just right from the back of the neck to the bottom of my chin. This prevented wind and rain from making its way into my core area. Also, the jacket has just a little bit more bulk than my medium weight fleece. Wind: I really haven’t had an opportunity to wear the jacket in a high wind situation. The worst weather conditions I’ve worn the jacket in was earlier this week when I hiked 3 miles in an 18-degree temperature; with winds of 14-20 MPH that created a wind chill of 5 degrees. I thought the jacket did a great job of keeping the icy winds out, thus keeping my core warm even during the strongest gusts. For what it’s worth, a couple of weeks ago I used the constant wind generated from during a bike ride to test the wind resistance of the jacket. Most road cyclists would probably tell you that it starts to get uncomfortable on a bike when temps start falling below the mid-to-upper 50s. On this day the temperature held steady at 47 degrees while riding for an hour at an average speed of just over 16 MPH. Again, I thought the jacket did an excellent job of keeping the wind out. This is in comparison to what I normally would wear under similar conditions: a long sleeve wicking shirt, a heavy long sleeve jersey and a wind breaker. During the last half of the ride I was warm enough that I had to partially unzip the jacket. Afterwards, although my face, hands and feet were cold, my core felt completely warm. Rain: A couple of weeks ago I decided to take a walk in the rain to see how effective the Heat Elite would be at keeping me dry. On this day I walked for almost 45 minutes in a light-to-steady rain, with a temperature hovering around 37 degrees. Although you could make the argument that this wasn’t a monsoon or hurricane, the jacket still kept me completely dry and warm that day. As mentioned above, the snug collar prevented rain from seeping down my neck. Warmth: In terms of getting a meaningful test this has been the most problematic. Thanks to the La Nina weather pattern we’ve been stuck in, temperatures have been in the 30s and 40s for the most part since owning the jacket. Fortunately I finally got a chance to test the jacket in a truly cold situation on Monday. As mentioned above, on this day I wore the jacket on a three-mile hike at the local park in 18-degree temperatures, winds of 14-20 MPH, and a wind chill of 5 degrees. With only a long-sleeve wicking shirt underneath, I still felt completely warm during the entire hike, as I have on each of the other occasions I’ve worn the jacket. In fact, when temperatures were in the 30s and 40s, I had to unzip the front or the underarm vents in order to help regulate the heat. It appears that the jacket lives up to its main selling point, but I would like to test it in much colder weather before providing a final judgment. The only complaint that I have so far is with the adjustable cuffs. When tightened, they tend to bunch-up on the wrist. If I had my choice, I would prefer the elastic type wrist I have on the two fleece jackets I own. Columbia also uses the Omni-Heat technology in some of their new gloves, something that’s now on my Christmas wish list (Kathy, are you reading this?). 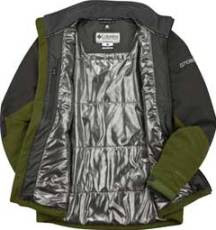 Overall I think the Omni-Heat Elite is an outstanding jacket and would have no problem purchasing it for myself. I like that this jacket will keep me warm and comfortable in colder weather. Most of all I like the fact that the jacket offers protection against multiple weather conditions, making it much easier to choose what to wear when heading out to the great outdoors. Right now, Amazon.com is offering up to 21% off on some men's Elite Jacket colors and sizes, and up to 15% on women's colors and sizes. Altrec.com is also offering up to 14% off on some men's and women's colors and sizes as well. My Life Outdoors needs your vote!